In-house audiovisual services and wireless Internet access. and a choice of four venues for food and beverages. Condé Nast Traveler, it features stunning views of the sea, gorgeous sunsets, refreshing dining options, a cheerful and cozy spa, and luxe accommodations by designer Barclay Butera, who gave the rooms fresh, coastal-chic décor as part of a property-wide refurbishment completed in 2017. A private footpath leads to 6 miles of sandy beach just steps away, allowing for everything from seaside sunning to surfing and stand-up paddleboarding lessons. Other nearby recreation options include scenic hiking trails at Torrey Pines State Natural Reserve down the road; championship golf at numerous exclusive courses; and, in summer, horse races at the Del Mar Throughbred Club racetrack. Guests with less time to spare can stroll to more than 50 restaurants and shops in the charming village of Del Mar. For business programs, L’Auberge Del Mar assigns a dedicated meetings team to each event. The six conference rooms adapt for groups of up to 300 people, while outdoor settings feature coastal views for breaks and meals. For restaurant dining, the hotel showcases seasonally driven restaurants Kitchen 1540 and Coastline, where diners take in an iconic view of the ocean. Guests can also select from a fresh, sophisticated menu by the swimming pool and order signature handcrafted cocktails at the Bleu Bar. Beautiful property but meeting space is limited. Ok for small meetings but beware that some space is located along same hallway as guest rooms. We adore L'Auberge del Mar and use it frequently. The hotel has been beautifully updated and is situated right in the heart of Del Mar. It makes a great opportunity for attendees to enjoy both the beach and a little shopping in their free time. The sales and conference services staff is wonderful and will help you create a memorable event. The whole experience was great. The property is beautiful and scenic. The size of the property was perfect for the size of our group, intimate and easy to get around. The staff was excellent and worked with us on any changes we made during our stay. They helped us arrange other off-site events. Wonderful experience. I would have no hesitation in recommending this property to others. This was one of the best meetings I ever planned with huge kudos to the hotel staff for their adaptability and helpfulness. The location is perfect - ocean views and a walkable down out the front door. Attendees were thrilled. Beautiful property with an amazing view. The lobby is a show-stopper. The rooftop pool is beautiful. Any meeting will be a success with accommodations and service from a property such as L'Auberge. It's the small details that make a successful meeting. The staff's customer service and willingness to go above and beyond the call of duty on-site were greatly appreciated. We held a Board meeting at L'Auberage. The executive board room was a perfect fit for this group. The food and the service was top notch. The resort is beautiful. I highly reccomend this property for your next retreat or board meeting. DEL MAR, Calif. – Land locked execs can answer their surfing dreams in the nearby Pacific and then strategize in a newly renovated Board Room at L’Auberge Del Mar, A Destination Hotel. A distinct departure from traditional meeting rooms, the new Board Room exudes a surf culture sensibility with larger than life ocean photography, a calming color palette in hues of blue, hardwood flooring, crisp white wood paneled walls and imaginative ocean inspired artwork. Compelling and colorful surf images by Solana Beach artist Aaron Chang, a former Surfing magazine photographer renowned for visually defining the sport of surfing. Each of Chang’s pieces depicts epic waves at nearby surfing spots. A striking hand blown 12-foot-long chandelier designed by Escondido-based mixed media artist James Stone, noted for his marine themed sculptures. This custom hand blown light fixture was delicately crafted with hand applied color and dichroic glass fused at 1,500 degrees on two layers of titanium coated glass. Infused in soft hues of Turkish blue and sky blue with hints of cyan, white and sea green, this unique piece sets a breezy ocean themed tone for the entire room. A custom 9’6” surfboard from Del Mar resident and eight time surfing champion Joel Tudor anchors the back wall behind the handsome wood conference table furthering the room’s authentically local motif. And, for execs who want to “hang 10” after a day of meetings, L’Auberge Del Mar offers complimentary body boards for guests to use and can arrange group surf lessons with Fulcrum Surf. Group lessons are available for $85 per surfer for a 90-minute session. Located in the heart of Southern California’s most picturesque coastal village of Del Mar, L'Auberge Del Mar overlooks the Pacific Ocean and offers a resort experience reminiscent of a private, coastal estate. Managed by Destination Hotels, this historic seaside hotel offers 121 guest rooms and suites, refreshing dining options, a cheerful and cozy spa, a private path to the beach and peaceful pool area. The award-winning, signature restaurant, KITCHEN 1540, blends energy and intrigue with a fresh, lively atmosphere. The restaurant’s extensive offerings meld the classic and the unexpected, making KITCHEN 1540 something one simply has to try when dining in Del Mar. For more information, please visit www.laubergedelmar.com or www.destinationhotels.com. L’Auberge Del Mar, by Destination Hotels & Resorts is a San Diego retreat reminiscent of a private coastal escape with a star-studded past and reputation as one of the finest hotels in the region. This year, L’Auberge Del Mar is celebrating its 25th anniversary and marking the milestone with specials throughout the hotel. Everyone, from visitors seeking a seaside escape to locals stopping by for a sunset cocktail, can join in the celebration through room, spa, dining and wedding specials available now through December 25, 2014. The anniversary celebration will culminate on December 31, where the hotel will commemorate 25 years with a New Year’s Eve 25th Anniversary Bash. In celebration of the hotel’s 25th anniversary, guests can book the Anniversary Package that includes overnight accommodations in one of the hotel’s elegantly appointed rooms and a $25 resort credit for use at Spa L’Auberge, KITCHEN 1540 or any other dining outlet. This package also includes a festive champagne and strawberry amenity and commemorative L’Auberge Del Mar keepsake silver anniversary photo frame. For more information and reservations, visit http://tinyurl.com/p2yqgy3 and enter booking code 25YEARS. Spa L’Auberge, which offers seaside pampering with a beach cottage ambience, is paying tribute to the 25th anniversary with special pricing of $125 for either the 50-minute Mint Julep Body Scrub or two 25-minute express treatments. The Mint Julep Body Scrub, which was inspired by racing season at the nearby Del Mar Race Track, includes a Bourbon Bubbler full-body scrub made of Kentucky Whiskey and brown sugar, followed by a Shea butter, mint, lavender and vitamin E hydrating cream. The express spa services are a new offering and designed to provide instant revitalization without a huge time commitment. Included on the express spa menu are a custom full-body massage, seaweed scrub, sea breeze facial and a hand and foot indulgence. Anniversary pricing is available Monday through Wednesday. The hotel’s elegant Living Room bar is featuring the festive Silver Anniversary Cocktail which fittingly includes Patron Silver, along with St. Germain, fresh rosemary, cucumber and lime. Guests can also opt for the bar’s anniversary special that includes two craft beers paired with a craft cheese and charcuterie board with two chef selections for $25. KITCHEN 1540, L’Auberge Del Mar’s highly acclaimed restaurant that blends energy and intrigue in a fresh, simple atmosphere, is offering a nightly anniversary menu special through the end of the year. In honor of the anniversary, Executive Chef Brandon Fortune has created a dry-aged beef program featuring either New York or Ribeye. Each day, chef will prepare a dry-aged beef dish special with accompaniments offered verbally by the servers (market price). With its breathtaking ocean view setting, L’Auberge Del Mar has always held a special allure as a wedding destination. This year, couples tying the knot will let a little something extra simply by mentioning the 25th anniversary. Specials include 25 percent off the three and four hour silver bar package, complimentary silver shantung linen or ultra-platinum Lamoure linen, and sparkling wine for the bride and groom with custom silver label. Located in the heart of the picturesque coastal village of Del Mar, L’Auberge Del Mar sits on a historic site that was originally home to the Stratford Inn. Opened in 1910, the hotel was a magnet for Hollywood stars during the silent film days. In 1927, the hotel changed its name to Hotel Del Mar and was again a gathering place for celebrities who came for sun, sand and Bing Crosby’s newly opened Del Mar Race Track. During WWII, the hotel closed and became home to soldiers and their families. After the war, it re-opened as a hotel, but never regained the popularity for which it was once known. In 1969, the hotel was torn down and the land stayed vacant until 1989 when it was rebuilt and opened as the Inn L’Auberge. In 2008, the property underwent an extensive renovation and emerged in its current form as the chic and sophisticated L’Auberge Del Mar. Del Mar, Calif.- February 7, 2014 - They say that all good things are worth waiting for and, in the case of KITCHEN 1540’s search for a new chef, fortune has finally arrived. L’Auberge Del Mar announced today that Brandon Fortune has been appointed executive chef of the 120-room hotel in San Diego’s picturesque coastal village of Del Mar. Fortune will oversee all culinary operations for the property, including the acclaimed KITCHEN 1540 restaurant. A native of the Southeast, Fortune draws inspiration from his Southern upbringing, world travels and outstanding educational background to create extraordinary cuisine. An honors graduate of Le Cordon Bleu College of Culinary Arts in Atlanta, Georgia, he began his career at the five-diamond, five-star Four Seasons Hotel Atlanta before heading west to hone his skills at another five-diamond, five-star resort, The Grand Del Mar in San Diego. As a member of The Grand Del Mar’s opening culinary team, Fortune worked alongside two-Michelin Star-awarded Chef Jason McLeod perfecting his craft in the resort’s dining outlets and banquets. In 2010, Fortune opened his own tapas restaurant in La Jolla, Calif. called Aquamoree. The restaurant offered upscale Southern cuisine prepared as small plates and was quickly named a top American restaurant by San Diego opentable.com. With the arrival of his first child in 2013, Fortune moved away from restaurant ownership and has been serving as a culinary consultant on a local project. Fortune will start at L'Auberge Del Mar on February 17 and will begin implementing his vision immediately. A complete new menu release for KITCHEN 1540 is anticipated in April. Modern and comfortable, KITCHEN 1540 blends energy and intrigue with a fresh, simple atmosphere. Inspired by New York architect Andre Kikoski, KITCHEN 1540 boasts white vaulted ceilings, an elegant fireplace and modern furniture offering a level of contemporary-chic sophistication rarely seen in a hotel restaurant. The inviting wine bar, with 24-bottle Cruvinet, doubles as a dining counter providing an intriguing glimpse into the energy and excitement of the open kitchen activity, while the private dining room wrapped in wine-encased walls provides a quieter, more intimate setting. The spacious outdoor patio allows guests to enjoy the ocean breezes and features private cabanas for intimate dining. The setting is punctuated with a waterfall and hanging lanterns to set just the right mood. KITCHEN 1540 has garnered numerous awards including such prestigious honors as Wine Spectator Magazine: Award of Excellence; CA Restaurant Association: Gold Medallion - Best Hotel Restaurant, Fine Dining; San Diego Magazine: Best Hotel Restaurant; and Ranch & Coast Magazine: Editor's Pick for Best Restaurant. Destination Hotels & Resorts is an authentic collection of luxury and upscale independent hotels and resorts across North America. Offering enriching, locally-inspired experiences from alpine adventures and stunning beachfronts to urban landmarks, each property reflects the natural surroundings and culture of its distinctive locale. With more than 40 properties in premier travel destinations, including Aspen, Chicago, Denver, Lake Tahoe, Los Angeles, Maui, Miami, New Orleans, Phoenix, San Antonio, San Diego, Santa Fe, Seattle, Vail and Washington D.C., the award-winning portfolio features renowned golf courses, indigenous spas, and exceptional culinary venues. For more information on Destination Hotels & Resorts, visit www.destinationhotels.com. 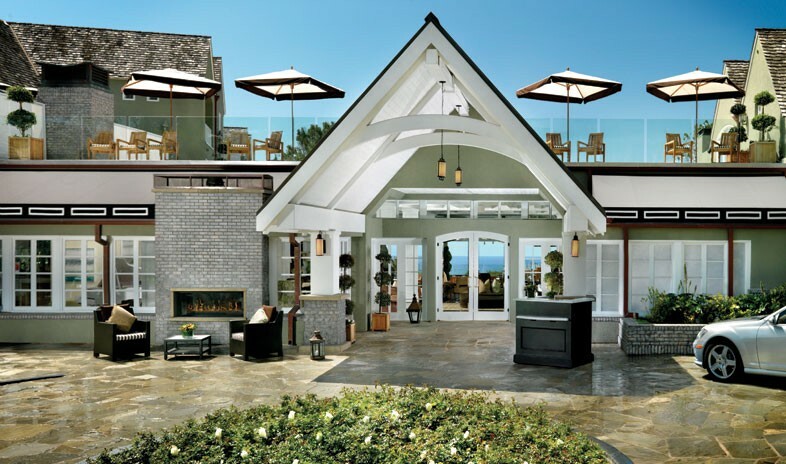 (Bonsall, CA) February 2, 2012- JLK Communications, a luxury hospitality PR and marketing firm in Southern California, announced the addition of L'AUBERGE DEL MAR to its list of prestigious travel clients. JLK will provide strategic public relations and media relations services throughout the important introduction of the property's new executive chef. "It's an honor to be selected to tell the news of Del Mar's most prestigious property. We are thrilled that our knowledge of and success with promoting luxury hotel experiences will be utilized right here in our home of San Diego," said Lori Kennedy, partner. JLK Communication's expertise in the hospitality industry spans more than 10 years, with the partners bringing more than 40 years of luxury, lifestyle and experience to its clients. Among the roster of clients JLK has worked with are: Four Seasons Hotels & Resorts (corporate); Four Seasons properties including Punta Mita, Maui, Newport Beach, Las Vegas and Aviara; Four Seasons Residence Club; Teton Ridge Ranch (a Paul Allen property); Solstice; Hotel 71 Chicago, Regent Beverly Wilshire, LA; Maui Visitors Bureau; British Airways; Terranea Resort; and VISIT Oceanside. JLK Communications' purpose is to be an integral extension of the communications and marketing efforts for a small number of clients. The partners of the business perform all of the company's tasks, ensuring an extraordinarily high level of experience and excellence across every project.